Sony STRDN1050 vs Sony STRDN1080: Are the Enhancements Worth the Money? 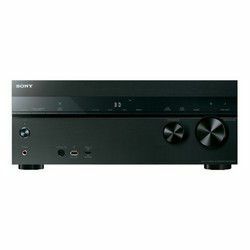 Going to purchase an AV receiver from the famous Sony company, the customers commonly compare Sony STRDN1080 vs STR-DN1050 popular and high-performance models. Are the innovations, DTS:X and Dolby Atmos formats worth extra money? Does the advanced amp sound deeper and milder? Let’s check. Sony STR-DN1050 still has some benefits Versus its advanced counterpart. It comes with a user-friendly interface, easy to navigate menu and very convenient features. It is equipped with a handy remote and it can be controlled from your smartphone. However, as Sony discontinued the SongPal app support for the device that was the key reason for some customers to purchase the receiver, it’s a disappointing issue for multiple users. The old model is much less powerful than the innovative model, being worse in terms of volume that is powered down in some hours due to built-in thermal protection. Additionally, most users don’t like the manual for STR-DN1050 considering it to be sparse and insufficient, designed for electronic access only. Paralleling Sony STR-DN1050 vs STRDN1080, we see that one HTMI output, all connectivity jacks and 1 Toslink optical port were removed from the innovative model. However, it’s not a problem, as all new TVs are equipped with multiple inputs, and the available number of input and outputs is sufficient. Meanwhile, the sixth HTMI output was reestablished to the rear panel from the front one, making the access much easier. And the available BD/DVD and CD/SACD HDMI outputs of the STRDN1080 receiver are optimized for audio quality. When we compare the sound that both devices produce, the advanced model is certainly the winner. The sound of the STR-DN1050 is described as muscular and big. It is balanced, standing out by wide sound field and spacious midrange. The amp plays rhythmic and dynamic music, producing cohesive sound. However, the newer model produces deeper, milder and more natural sound versus its older counterpart. Due to the cutting edge Dolby-Atmos format, the surround effects are impressive. The sound feels authentic as if an additional speaker was installed just under the ceiling. Sony STR-DN1080 is the advanced model that comes with additional formats and important enhancements, enabling natural deep sound and impressive surrounding effects. On the contrary, its predecessor is feature-rich, easy to set up and use, coming with a handy remote. Famous as 2014 Award winner, the amp is easy to use. It comes with an enjoyable menu and handy remote, producing muscular, well-balanced sound. However, as the app support is discontinued and Sony advises the customers to opt for an upgraded model, what shall we do? The amp features several enhancements such as innovative formats, Google Home compatibility, intuitive calibration. It produces natural, mild, deep sound that still lacks some bass performance and solidity.